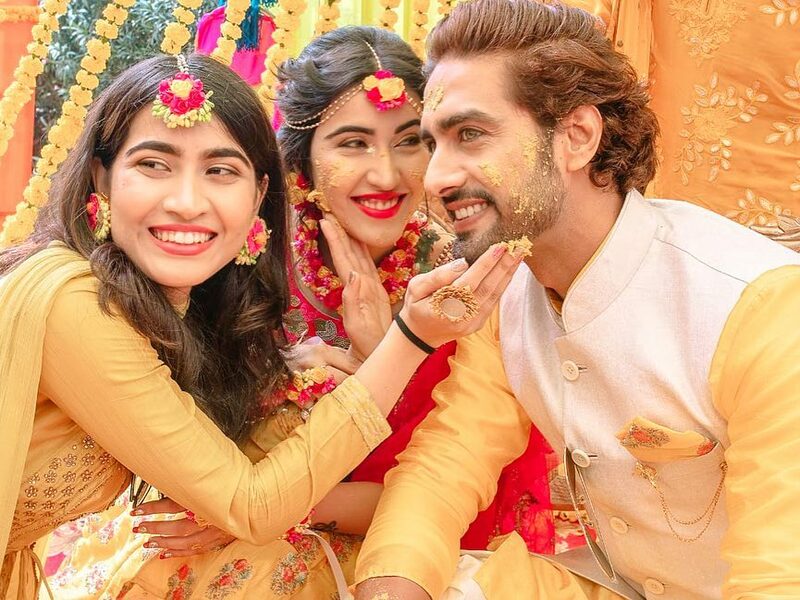 Wedding Photos From TV Actor Sheena Bajaj Wedding Are Here! 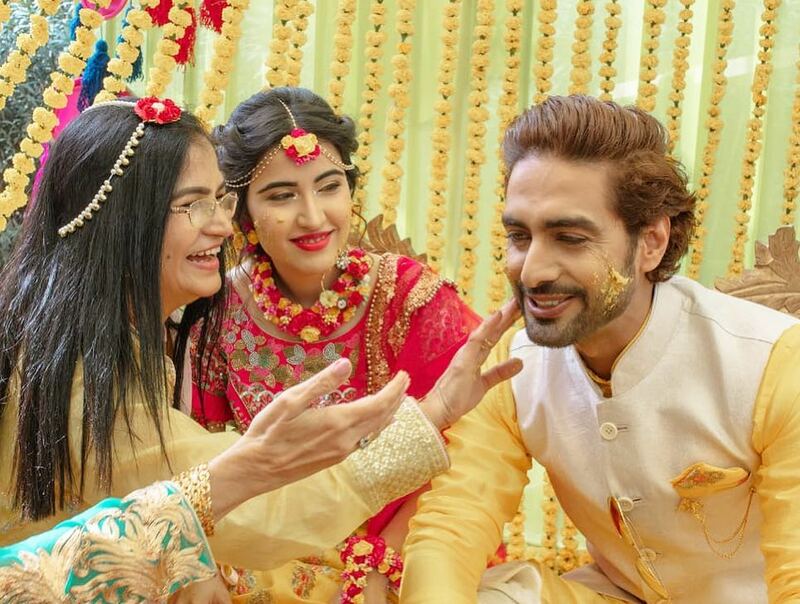 Sheena Bajaj and Rohit Purohit wedding has just proved that the wedding season is yet to welcome many more celebrity couples. 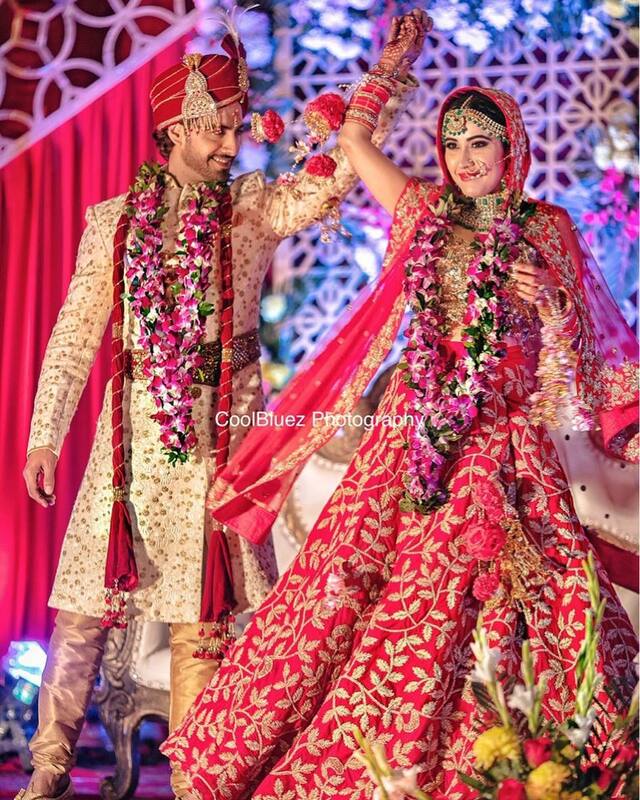 The two are from the television industry who met on met on the sets of their serial Arjun. And, soon fell in love with each other. 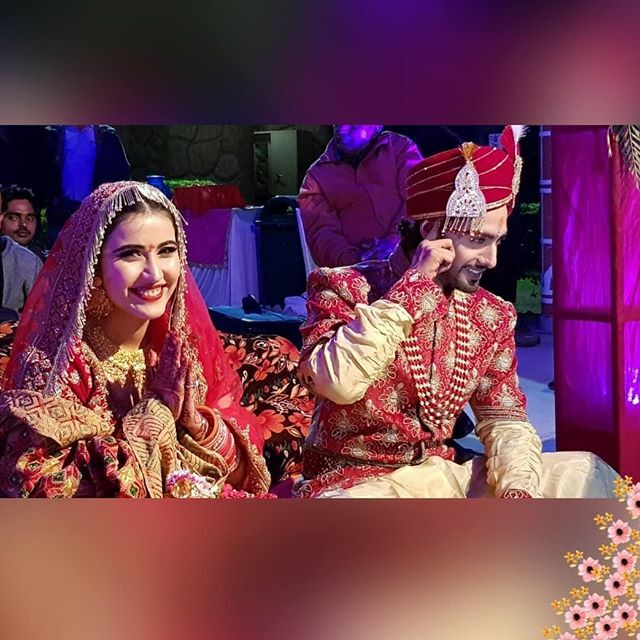 The two went in an on-off relationship for almost 4 years, and finally tied the knot on January 22, 2019, in Jaipur. 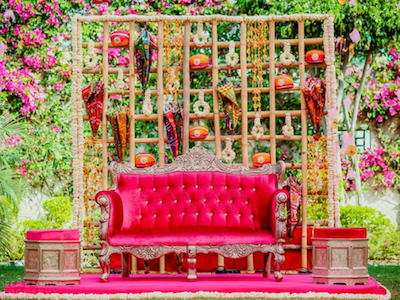 The couple had a beautiful destination wedding in Jaipur. 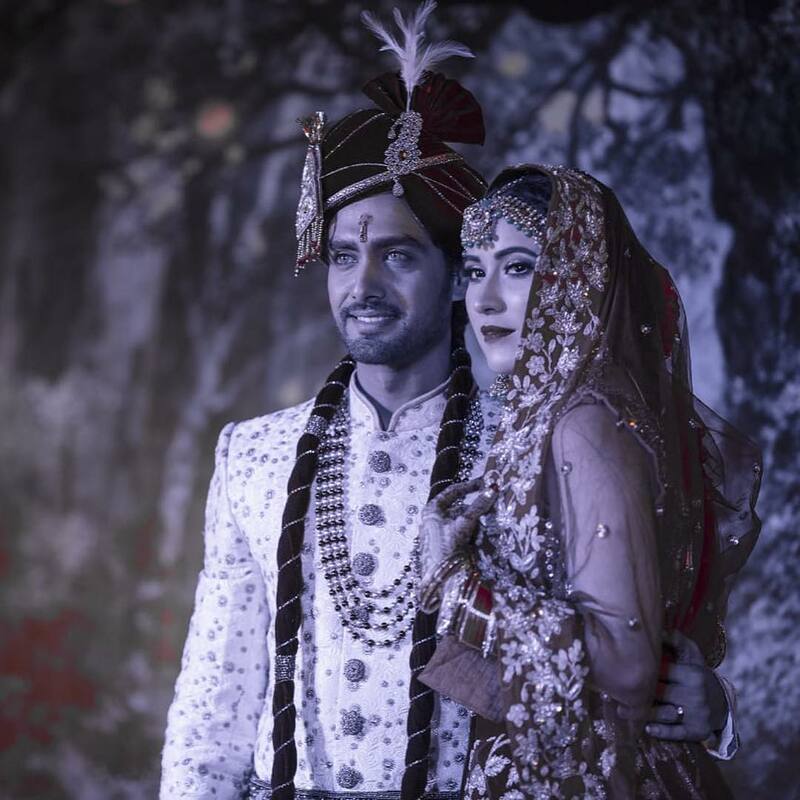 Sheena Bajaj and Rohit Purohit wedding was a two affair, which lots of fun and glamour. 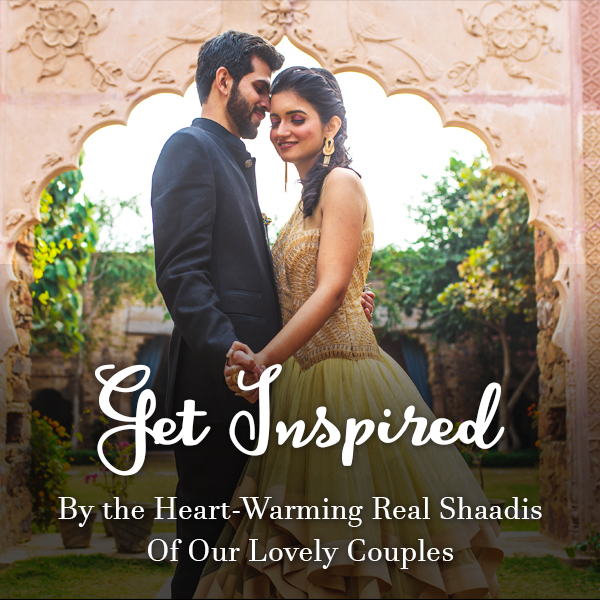 They had their sangeet, haldi, mehendi and engagement in one day, followed by the wedding on the next day. 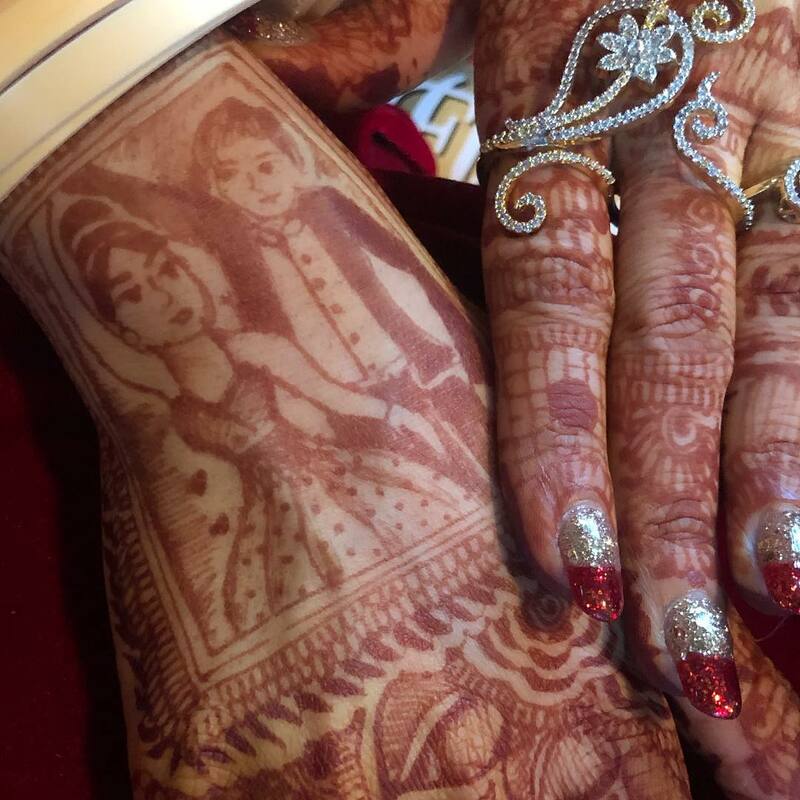 On the morning of 21st January, the couple hosted their haldi-mehendi. 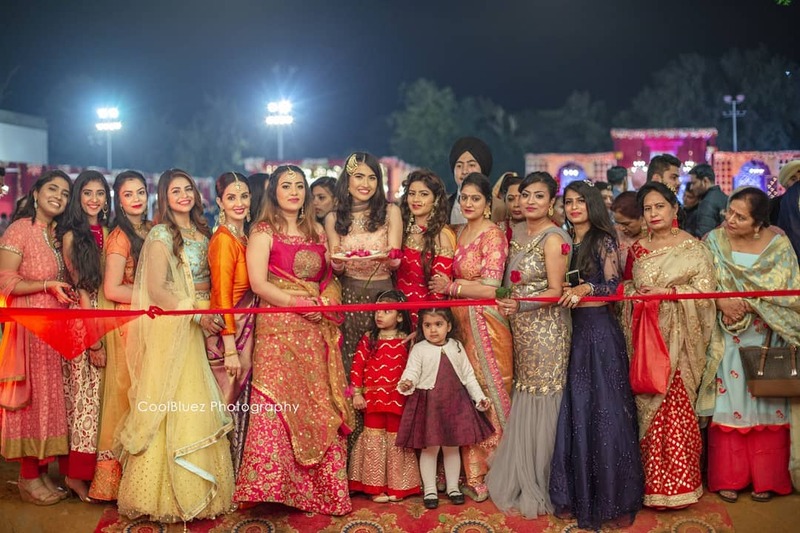 Sheena wore a beautiful yellow and pink lehenga with frill work on the blouse. 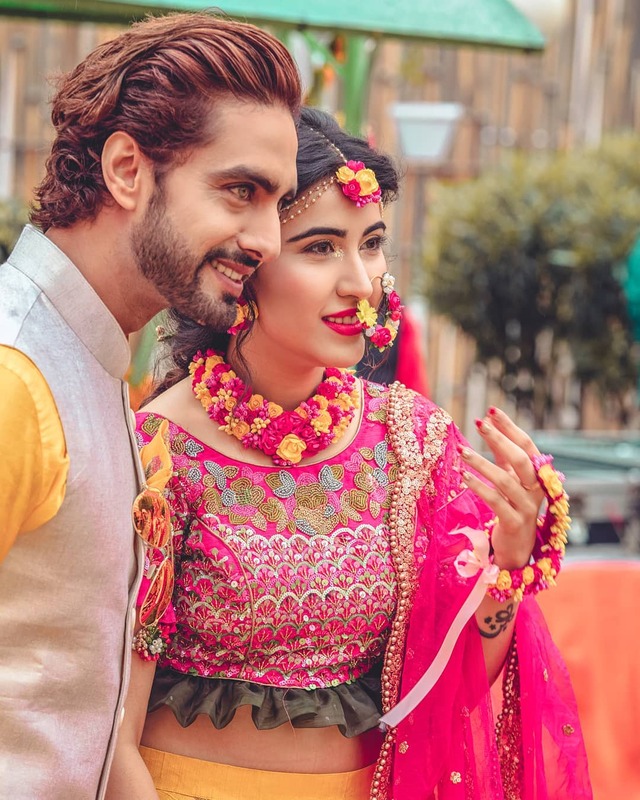 Rohit complemented his fiance in yellow and white kurta pajama and accessorised well with a Nehru jacket. 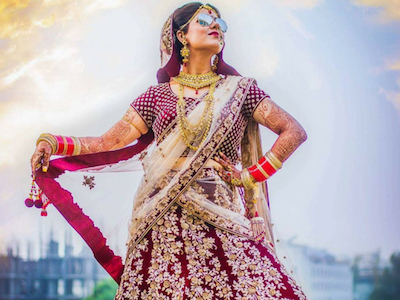 She completed the look with some bold and elaborate floral jewellery, consisting of a choker, a mathapatti, bangles, a nath and earrings. 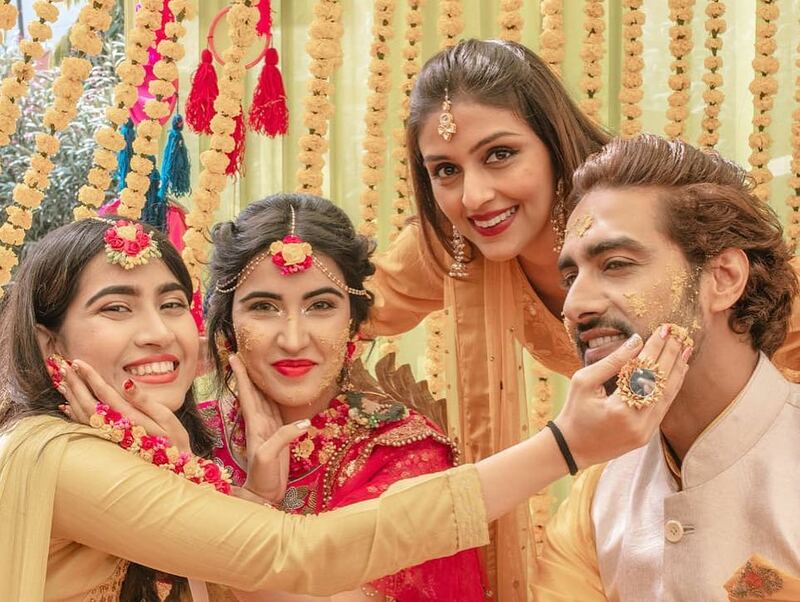 The evening saw many of the young couple’s friends from the television world in attendance to be a part of their engagement ceremony. 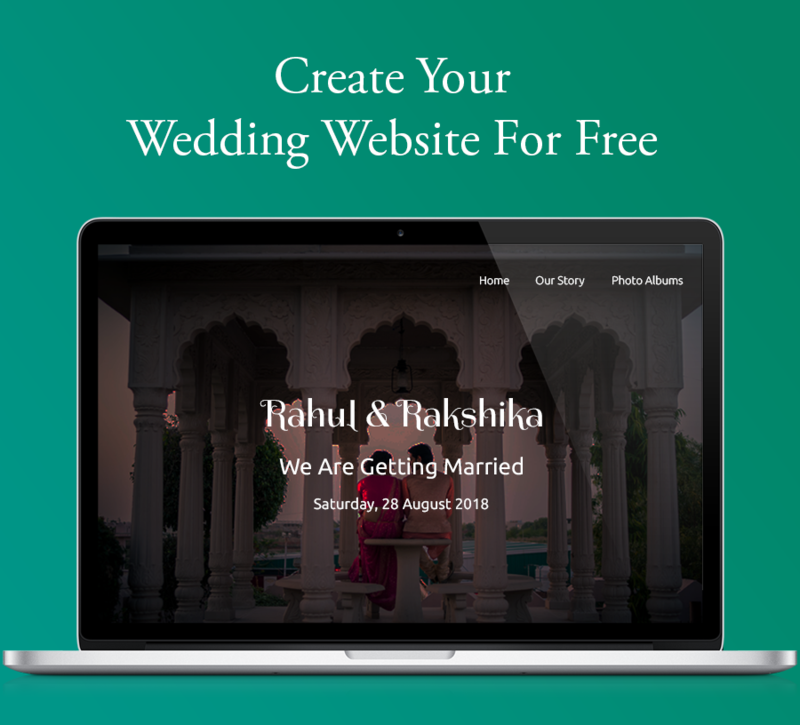 For the occasion, Rohit wore a shiny ivory three-piece tuxedo and completed it with a bow tie. 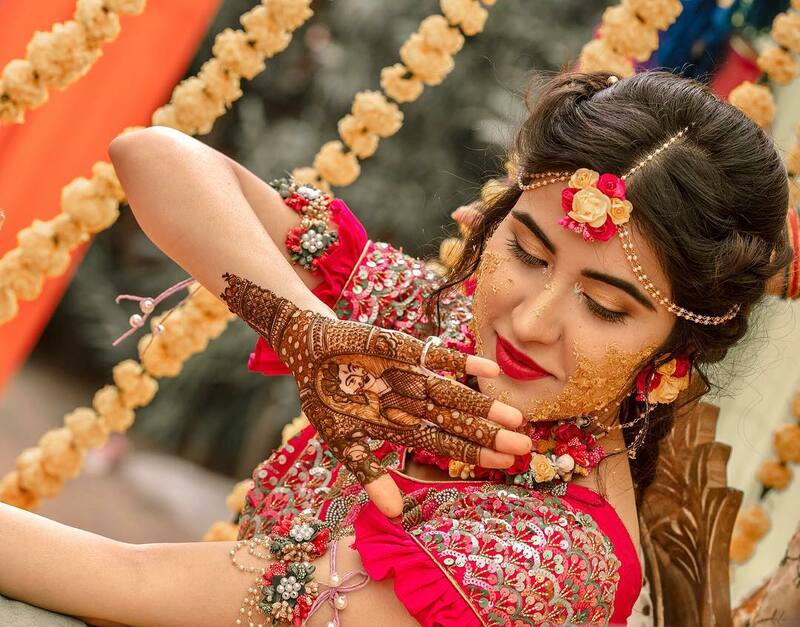 Sheena wore a light pink coloured lehenga and accessorised it with simple jewellery including earrings, hair accessories, necklace and a pasa. 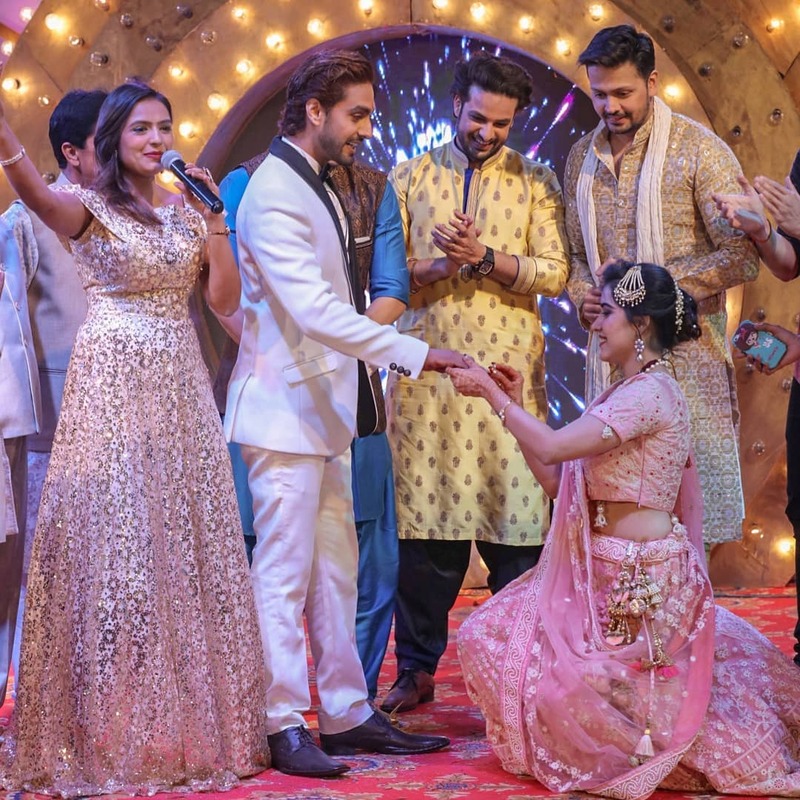 The most beautiful part of this event was that both Sheena and Rohit went on their knees to exchange rings with each other. The night culminated with a massive shower of confetti. 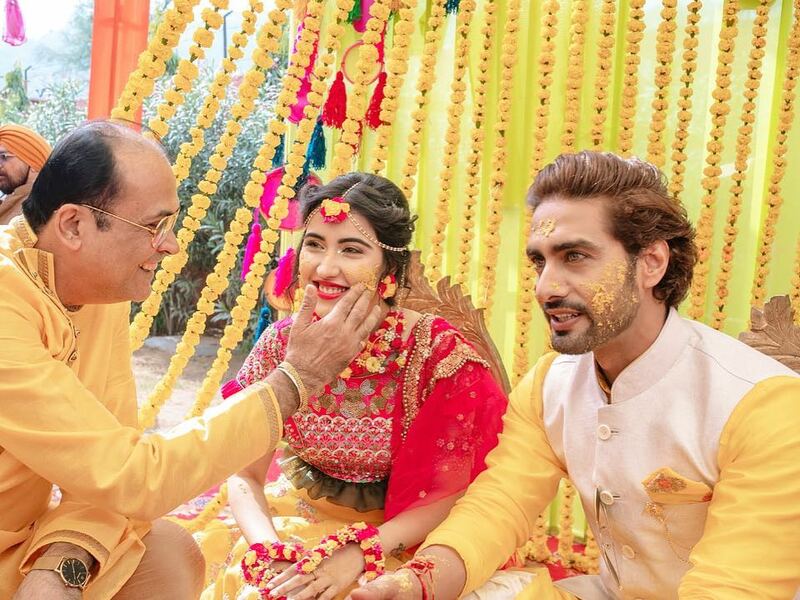 Sheena Bajaj and Rohit Purohit wedding day started off with the chooda ceremony which was an intimate affair. Only the closest family members and friends of Sheena were there for this emotional occasion. 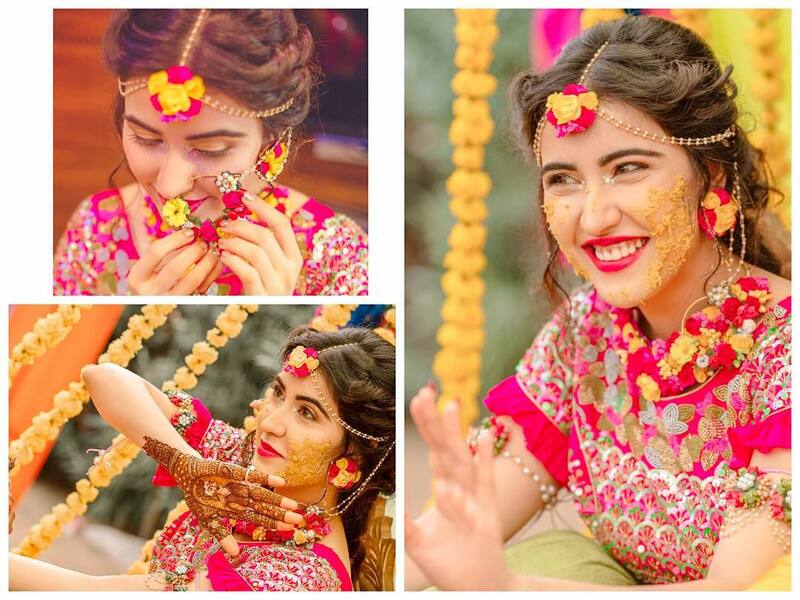 Sheena wore a green attire with a contrasting dupatta. There wasn’t a single eye that was dry. 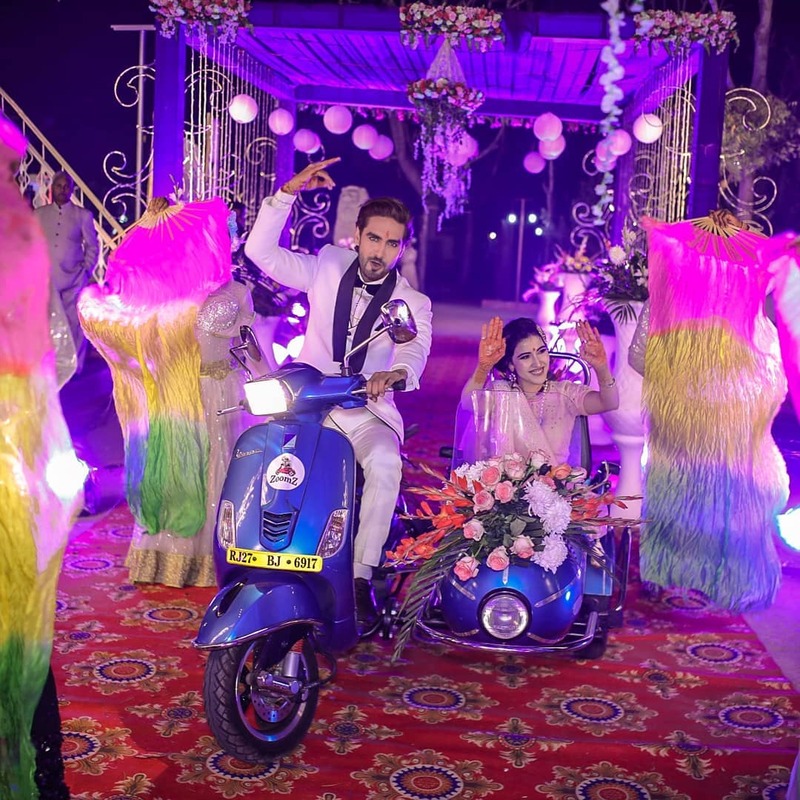 Sheena and Rohit’s big fat wedding pictures are direct form their destination wedding in outskirts of Jaipur. 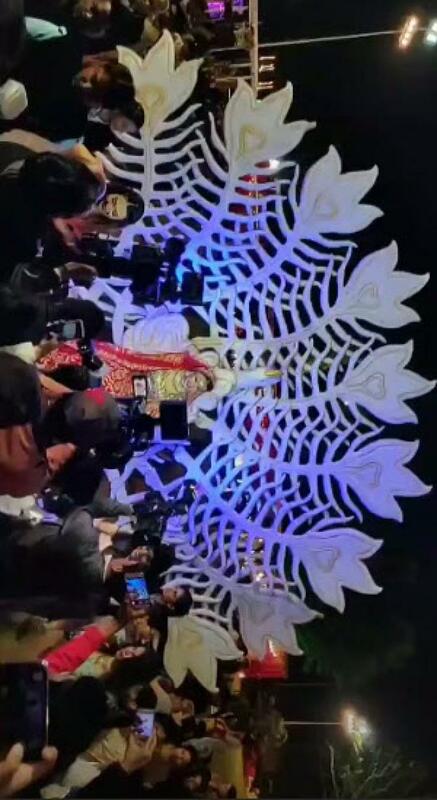 It was a traditional affair and both the bride and the groom made a grand entrance. 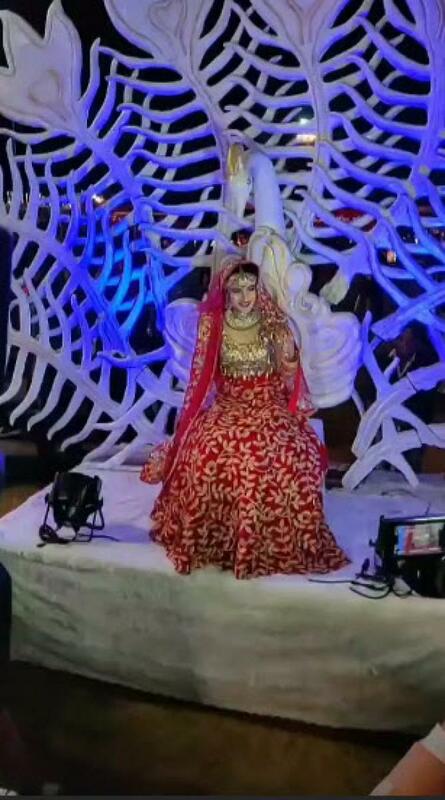 Rohit came like a king on an elephant and Sheena came in a majestic palanquin like a queen. 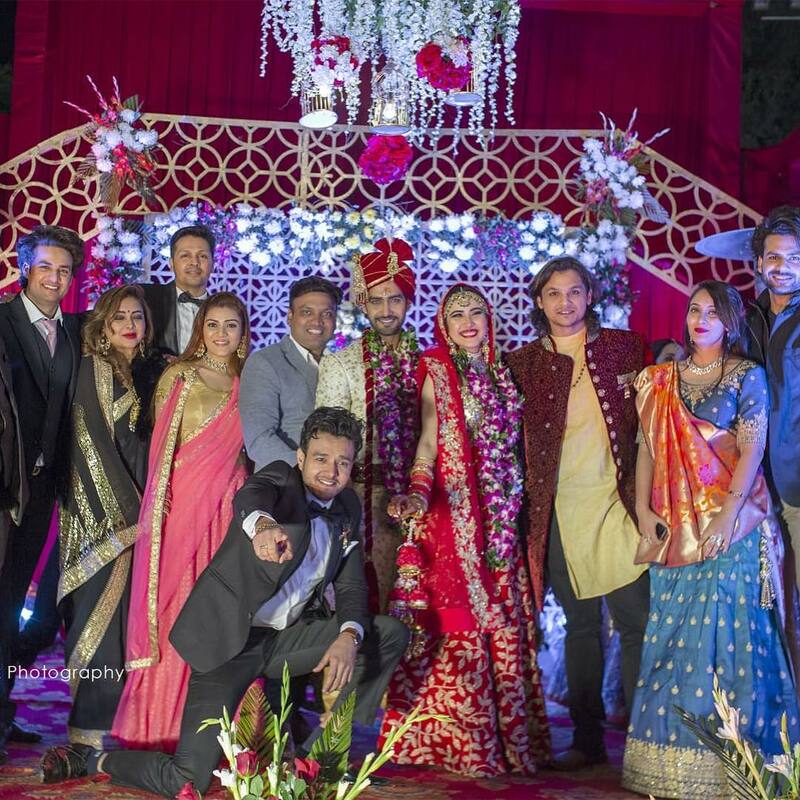 Rohit wore an ivory and golden coloured sherwani with a red dupatta and turban. 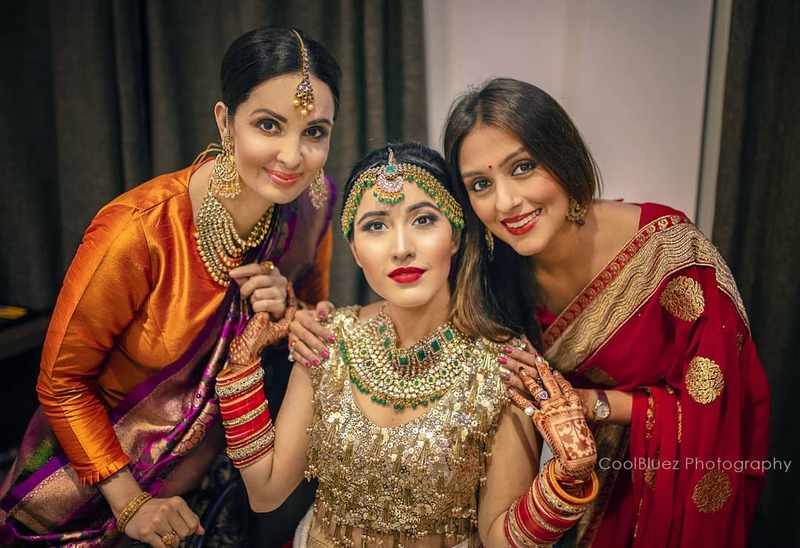 Sheena looked gorgeous in a golden and red lehenga. 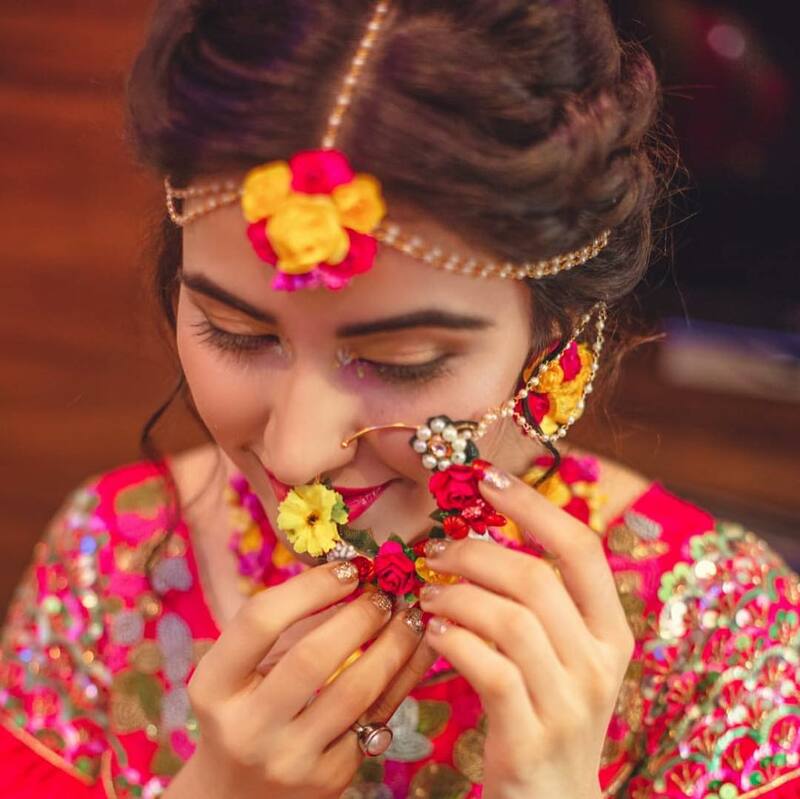 She wore contrasting green coloured jewellery with her outfit. 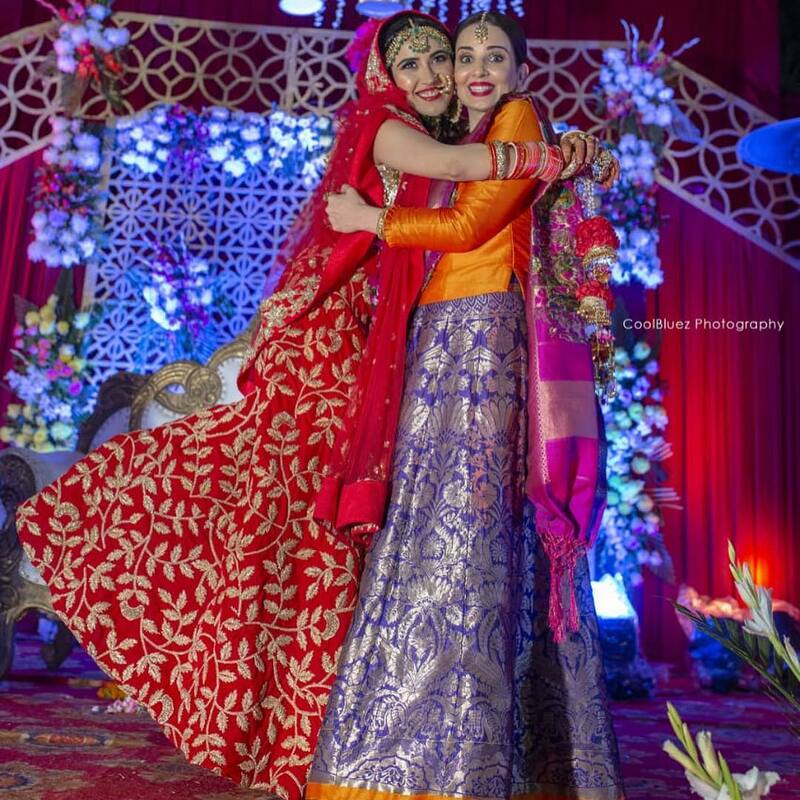 After exchanging their purple coloured orchid garlands, the couple slipped into different clothes for their pheras. 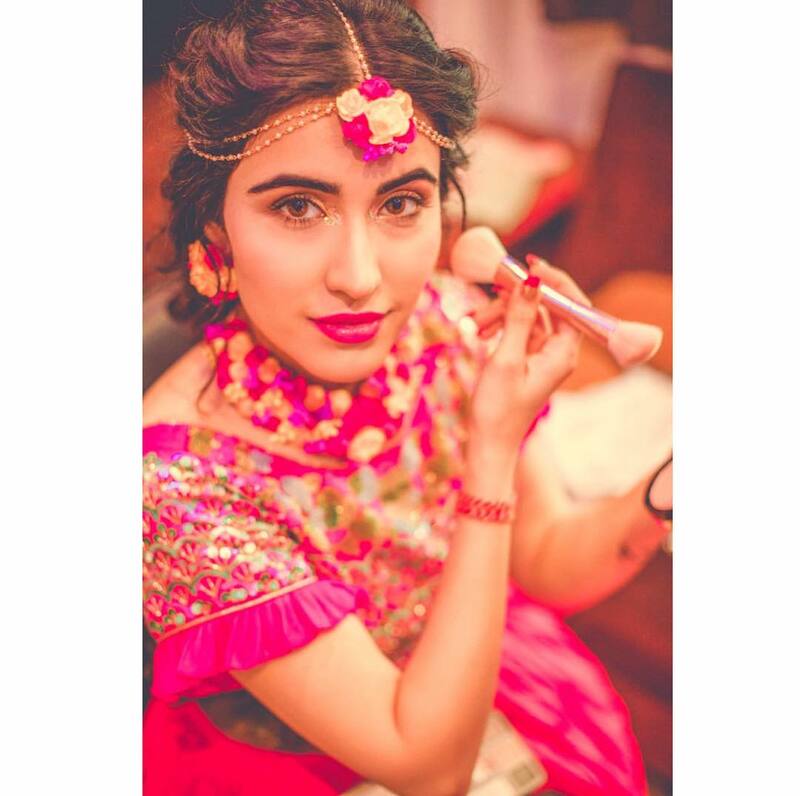 Sheena wore a red outfit with Jaipuri work on it. She wore gold jewellery with this outfit. 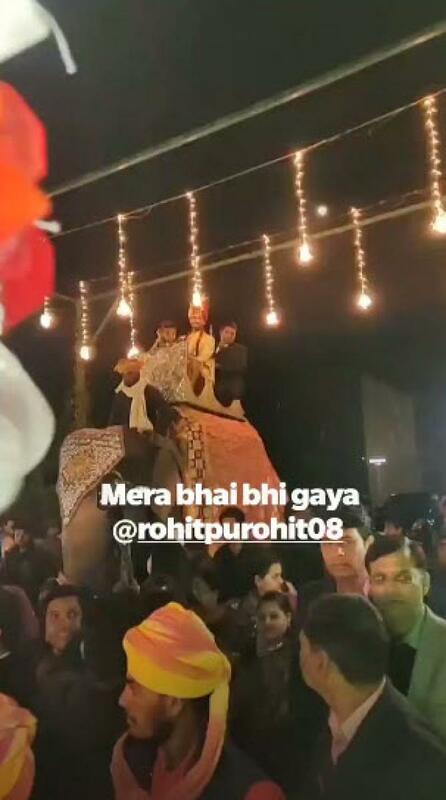 Rohit also changed his outfit and donned a golden and red sherwani. 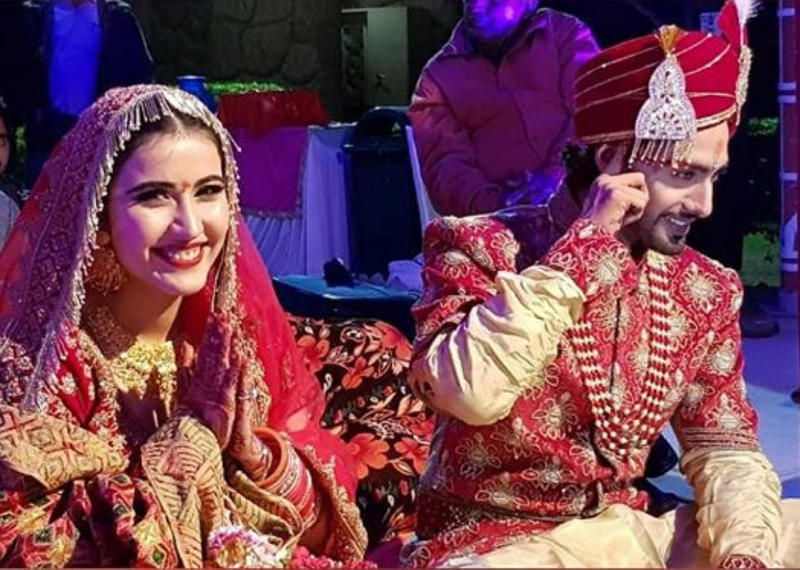 The couple was all smiles when they were finally pronounced as husband and wife. 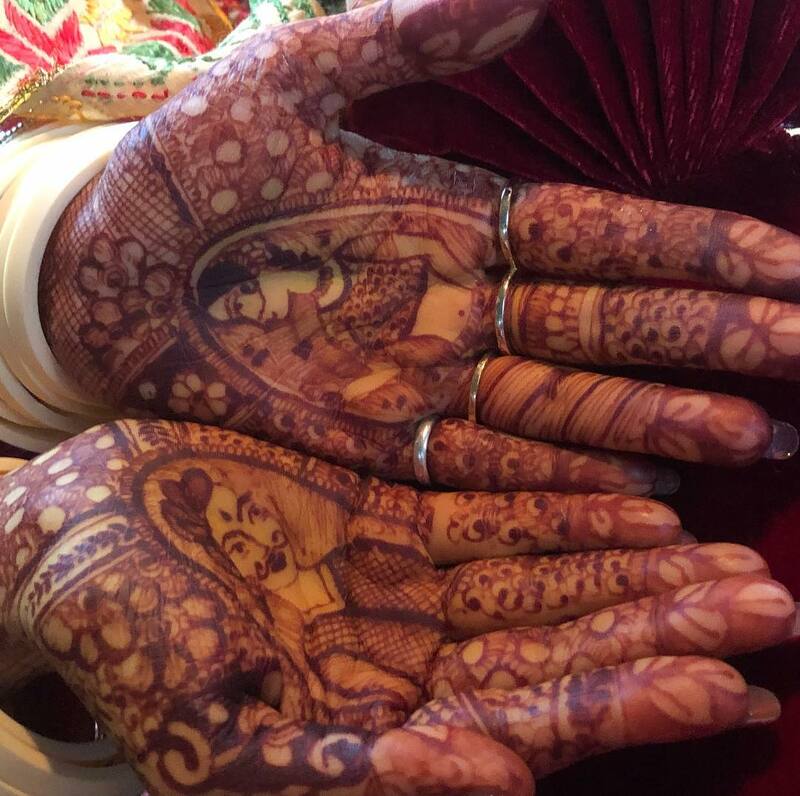 Sheena and Rohit are now Mr and Mrs Purohit. 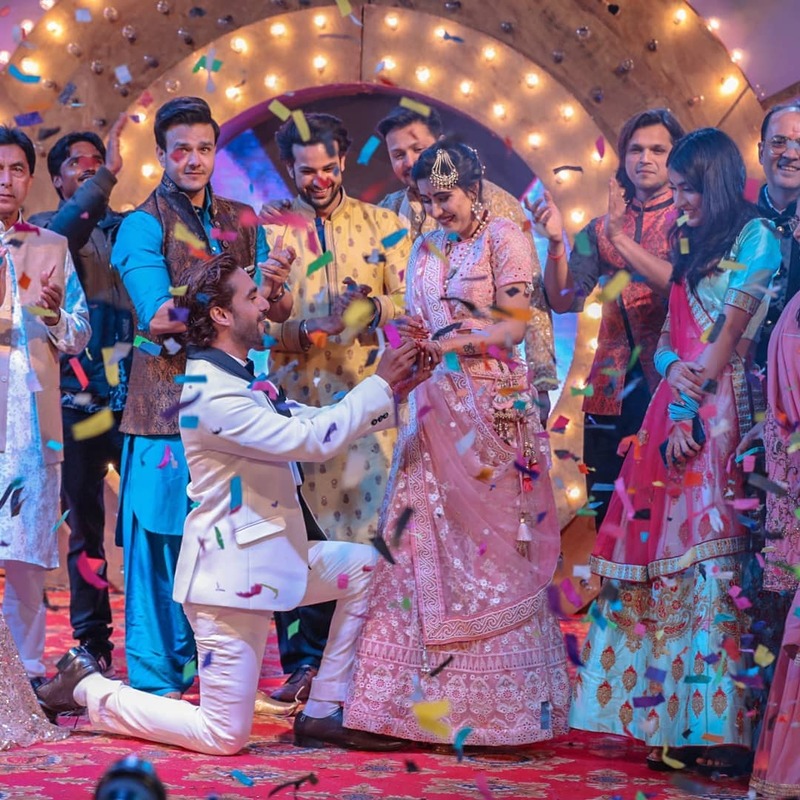 The two tied the knot in the presence of their loved ones. Their wedding quick wedding was all about celebrating love. 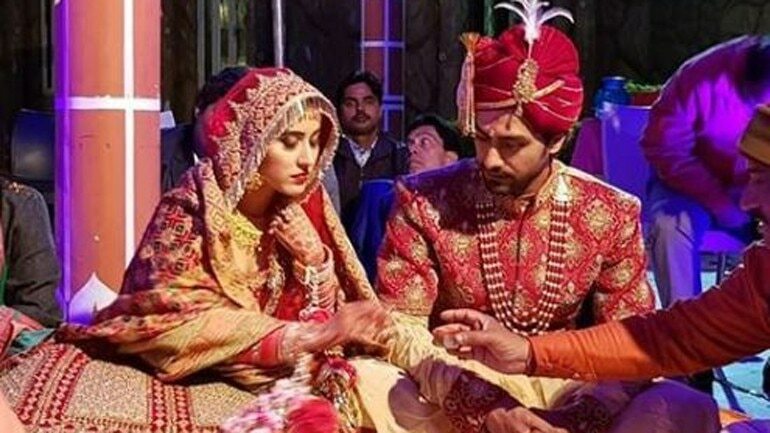 We wish these two an amazing married life.